This idiom was proved right once again after a furious woman tried to get revenge on her ex-boyfriend by setting fire to his car. 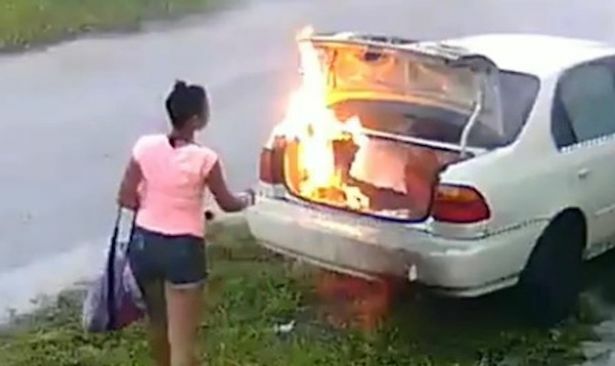 But it’s safe to say that her simple, yet effective plan rather backfired as in all her rage she managed to torch the wrong vehicle. Awkward. 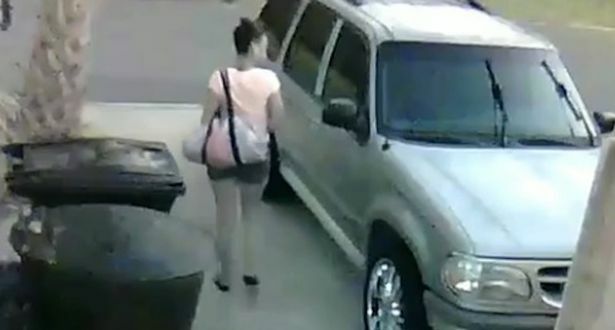 CCTV footage shows a woman shoving pieces of paper into the boot of a Honda, before setting them alight. The fire soon engulfs the whole of the boot before she casually walks away like nothing has even happened. Police believe she got the wrong car, as the owner of the car she set ablaze, Thomas Jennings, had no single clue who she was. Oh dear. Jenning’s roommate soon alerted him to the fire, with the pair immediately rushing to put out the flames, but Thomas told ABC Action News the fire was already ‘too much’. The woman in question was also spotted on earlier CCTV footage, scouting another vehicle. Carmen Chamblee, 19, was arrested on Saturday morning near Clearwater in Florida and charged with second-degree arson.